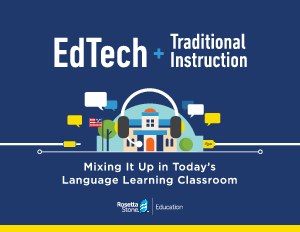 Technology plays an increasingly significant role in how we help language students develop the skills they need to be successful in today's competitive, global workplace. The benefits of integrating technology into the classroom can be seen throughout the learning experience. Schools and districts must re-envision the role of technology in the classroom to adapt to students' learning preferences.